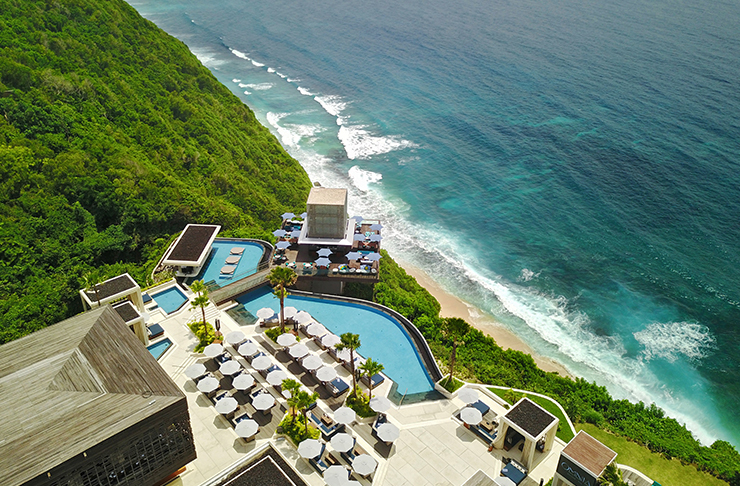 If you haven’t booked a trip to Bali this year, you’re about to #RIPSavings. The world’s first OMNIA Dayclub is opening its doors this February on the luxurious island of Uluwatu (of course) and we won’t lie, our excitement is next level for this one. 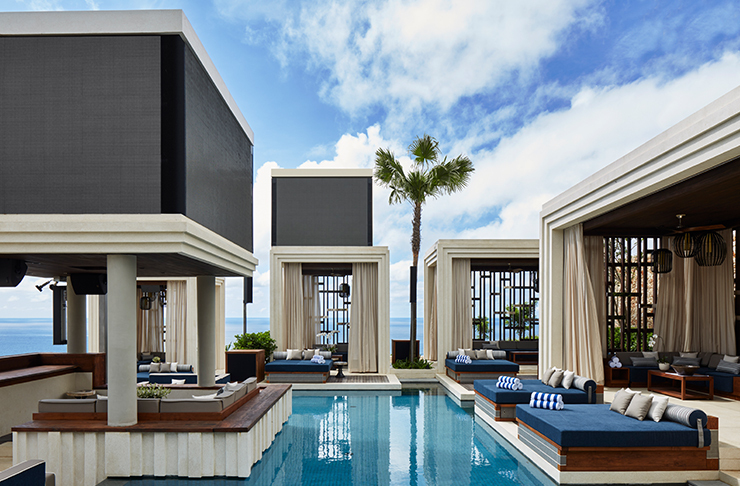 OMNIA Bali is your new fave spot has been designed by the best of the best, with Singapore-based WOHA and the New York-based Rockwell Group joining creative forces to design and bring to life this jaw dropping masterpiece. Picture an 80-metre plateau stretching across limestone cliffs, glittering infinity pools, ocean views, bungalows (with private plunge pools), VIP cabanas (obvs where you will be), a swim-up bar, oversized pool beds and umbrella covered sun beds. But we’re willing to be your ‘gram is about to be filled with the main feature—The Cube: a tower of shimmering silver that sparkles at sunset and into the night, a complete OMG worthy experience that will have every single one of your friends back home jealous AF. Since OMNIA originated in the nightclub scene in LA, you can be assured they’ve got the poolside beats locked and loaded. With DJs and a soon to be announced killer line up, the April OMNIA Grand Opening Party is totally worth booking flights for. Just when you thought it couldn’t get better, OMNIA goes and does exactly that. At the heart of the day club is Sake no Hana, a contemporary Japanese restaurant direct from London, bringing with it fresh seafood and a seriously delicious menu. Now, let’s take a few deep breaths and summarise—your future includes listening to live DJs, perched on a cliff in Bali overlooking the Indian Ocean, while sipping on cocktails in your private bungalow, followed by a Japanese dinner at the world-famous Sake no Hana. You’ve literally got to be kidding, right? This is no joke, fire up the group chat team. Travel bug biting hard? We feel you.